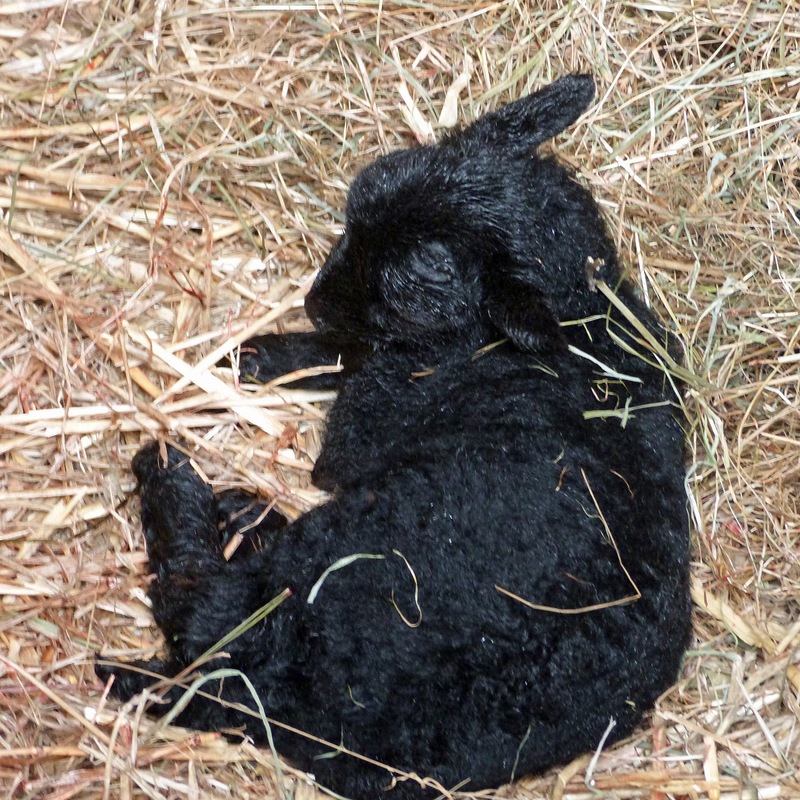 You know Spring has arrived when the lambs! 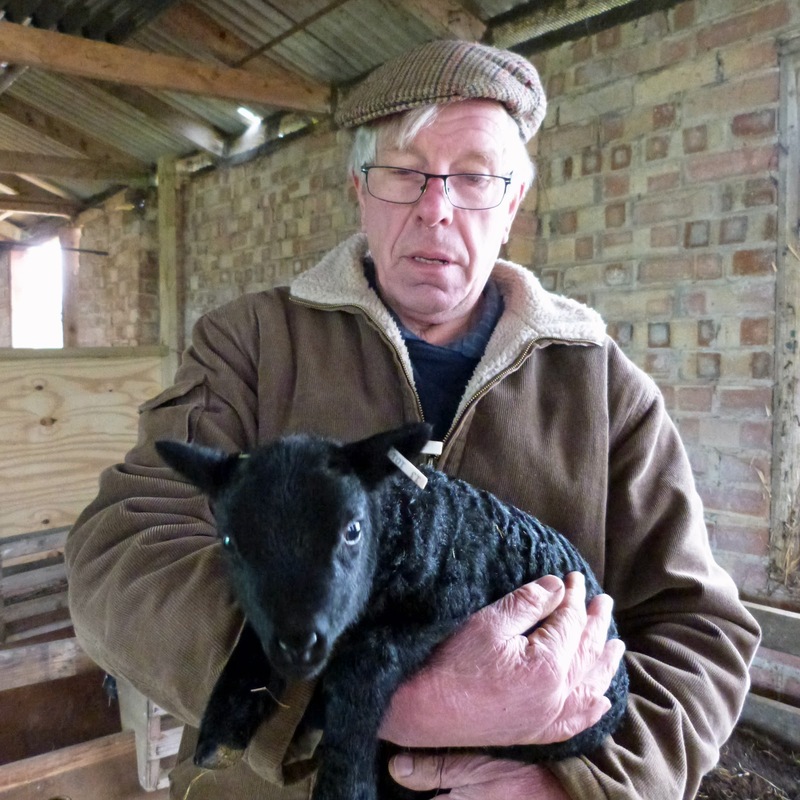 Our farmer neighbour Ian keeps a flock of small Black Welsh Mountain sheep in fields adjacent to ours, and he has been busy lambing for the past few weeks. 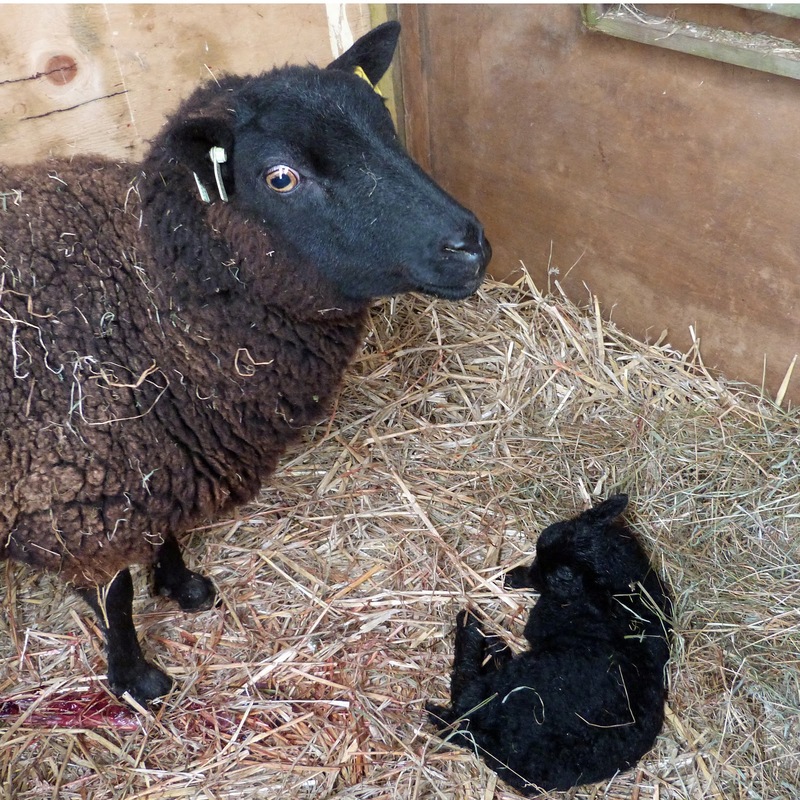 The lamb at the top is a few days old, but the little fella above (and below, with his mum) was born just 2 hours before I took the photo!